If you are going to be traveling to the Boston, MA area in the near future, try staying in a fully furnished corporate rental. All properties listed below include all furnishings, linens, towels, bedding, housewares, parking, capped utilities, expanded basic cable, wireless high speed internet, and domestic long distance all for one great price. 1 Bedroom/1 Bathroom Fenway Apartment. This glorious property includes all the amenities of home and then some! Some of the features of this property include: new construction; a washer and dryer in the unit; a lovely courtyard with WIFI; a 24/7 concierge; a fitness center; this property accepts cats and dogs; and is conveniently located to local restaurants and bars. To view more photos, maps, and information about this property, please click here. 1 Bedroom/1 Bathroom Lexington Apartment. Avalon at Lexington offers spacious apartments with fully equipped kitchens complete with breakfast bars and gas ranges. The airy floor plans include large walk-in closets, private patios or balconies, and generous living areas. The apartments also have washers and dryers or the hookups so that you can do your laundry in the comfort of your own home. The community offers a landscaped BBQ and picnic area with playgrounds that are a great place to gather with your family and friends to enjoy good food and good company. 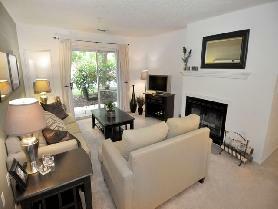 The apartments also feature a luxurious outdoor, heated swimming pool with an inviting sundeck. If you prefer to get fit indoors, you can make use of the apartment state of the art fitness center, indoor half-court volleyball, or indoor half-court basketball. The community clubhouse with a comfortable lounge gives residents the ability to meet their neighbors and relax close to their apartments. If you need to get some business done, you can use the apartments business center. The apartments are close to all the Lexington neighborhood businesses that are important to your comfort. Enjoy local parks and restaurants, or catch a movie at your leisure. The apartments are minutes away from both schools and banks. Everything you need in Lexington is close to Avalon’s beautiful apartments. To view more photos, maps, and information about this charming property, please click here. 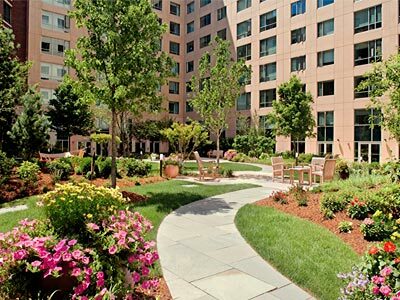 To view all of the amazing properties that AvenueWest Boston has to offer, please visit us at http://Boston.AvenueWest.com or give us a call directly at 347-735-9661.